Hand-drawn page six artwork by Bernie Wrightson featuring Swamp Thing in his introductory story “Swamp Thing”, from The House of Secrets #92. 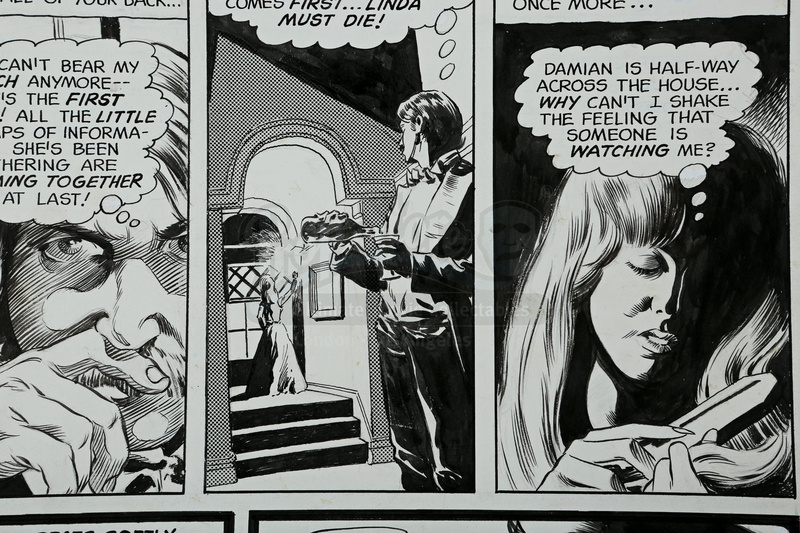 The page features five panels with Swamp Thing observing his former friend, Damian Ridge, preparing to murder the love of his life, Linda. 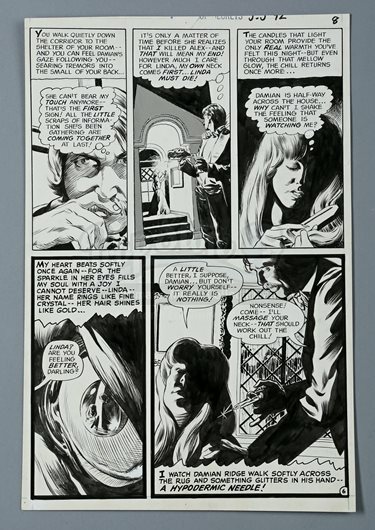 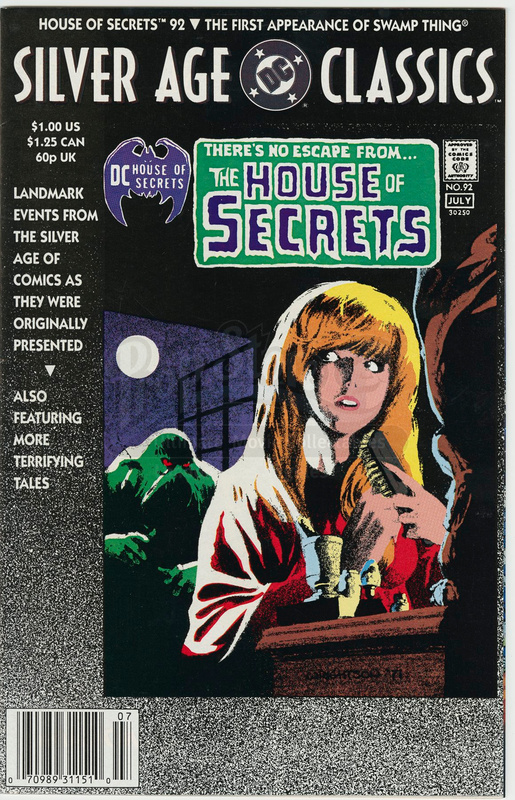 In drawing this story, Wrightson used his friends Mike Kaluta, Louise Jones, Alan Weiss and himself as models. 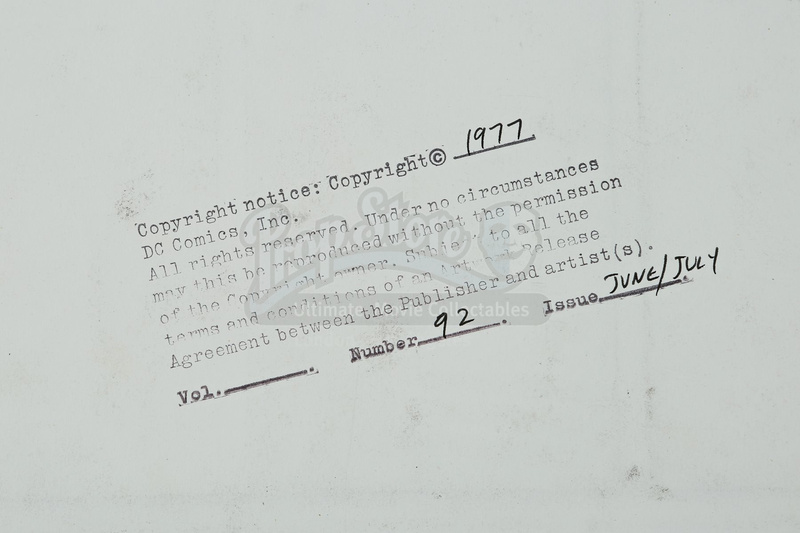 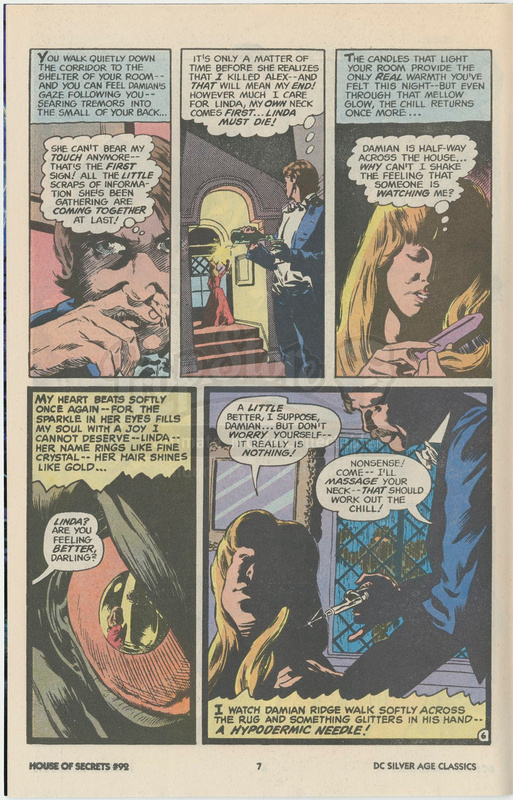 This page features Jones as Linda and Kaluta as Damian. 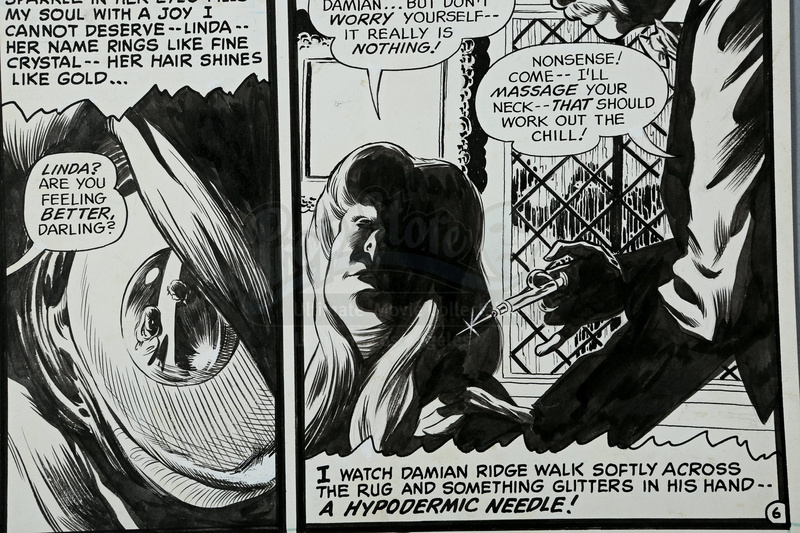 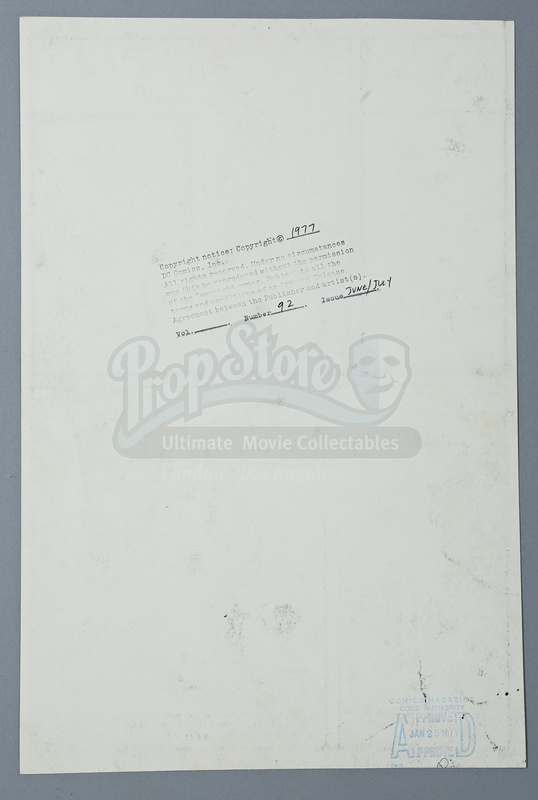 This is one of only five pages in the first Swamp Thing story that features Swamp Thing himself on the page. 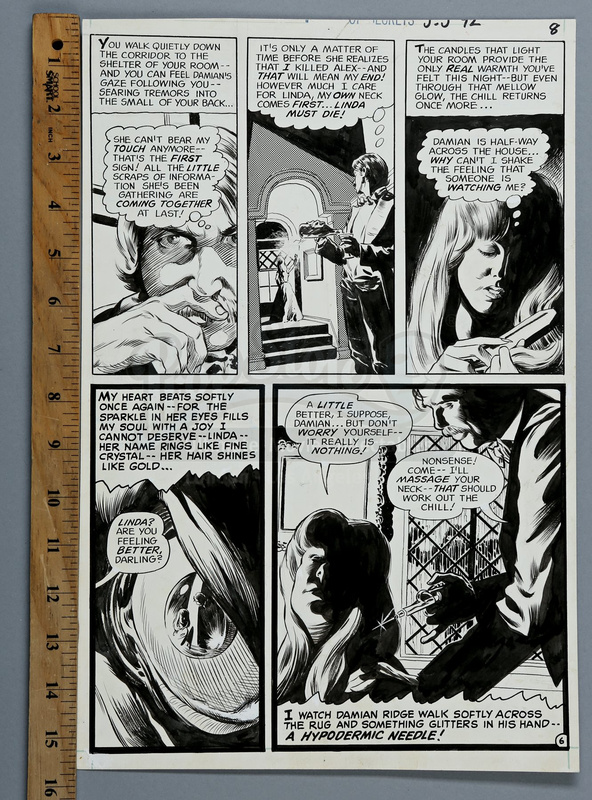 Pictured is a reference photo of Louise Jones used to create the image in panel 3.